66. דָּבָר אַחֵר כֵּן מִשְׁחַת מֵאִישׁ מַרְאֵהוּ – מֵהָעֶבֶד הַזֶּה שֶׁהִשְׁתַּנָּה דְיוֹקְנוֹ וְגוֹנוֹ מִכְּמוֹ שֶׁהָיָה. דָּבָר אַחֵר כֵּן מִשְׁחַת מֵאִישׁ מַרְאֵהוּ – כְּמוֹ שֶׁנֶּאֱמַר (שם נ) אַלְבִּישׁ שָׁמַיִם קַדְרוּת וְשַׂק אָשִׂים כְּסוּתָם. שֶׁהֲרֵי מִיּוֹם שֶׁנֶּחֱרַב בֵּית הַמִּקְדָּשׁ לֹא עָמְדוּ הַשָּׁמַיִם בְּאוֹרָם, וְסוֹד הַדָּבָר – הַבְּרָכוֹת לֹא שׁוֹרוֹת אֶלָּא בְּמָקוֹם שֶׁנִּמְצָאִים זָכָר וּנְקֵבָה, וּבֵאֲרוּהוּ כְּמוֹ שֶׁנֶּאֱמַר (בראשית ב) זָכָר וּנְקֵבָה בְּרָאָם וַיְבָרֶךְ אֹתָם, וּמִשּׁוּם כָּךְ מִשְׁחַת מֵאִישׁ מַרְאֵהוּ. 67. וְזֶהוּ כַּכָּתוּב (ישעיה נז) הַצַּדִּיק אָבָד. אָבוּד אוֹ נֶאֱבָד לֹא נֶאֱמַר, אֶלָּא אָבָד, שֶׁאֵין שׁוֹרוֹת בְּרָכוֹת אֶלָּא בְּמָקוֹם שֶׁנִּמְצָאִים זָכָר וּנְקֵבָה יַחַד, כְּמוֹ שֶׁנִּתְבָּאֵר. 68. מִשּׁוּם זֶה בְּאוֹתוֹ זְמַן שֶׁלֹּא נִמְצָא הַזָּכָר עִמָּהּ, וְאָז כָּל אוֹתָן נְשָׁמוֹת שֶׁיּוֹצְאוֹת, לְכֻלָּן הָיָה לָהֶן שִׁנּוּי מִכְּמוֹ שֶׁהָיוּ בִּזְמַן שֶׁהַשֶּׁמֶשׁ מִתְחַבֵּר בַּלְּבָנָה, כְּמוֹ שֶׁנִּתְבָּאֵר. וְלָכֵן אֵלֶּה תֹּלְדוֹת יַעֲקֹב יוֹסֵף וְגוֹ’, וְנִתְבָּאֵר. From the day of the destruction of the Holy temple, the heavens that is Zeir Anpin, couldn’t channel its light. The secret is that blessings cannot come to a place where there is not unification of male and female. Adam was created as male and female and receives God’s blessings as one. Later he separated them so they can go through the process of ‘earning’. They need to come together in order to restore the connection of the original blessings from God. The meaning of is that the righteous lose the blessings because the connection there’s no unification of male and female. At the time of exile, Zeir Anpin and Malchut are in different state. 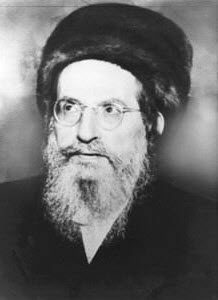 The souls that come to the world are different from the souls that used to come when the Holy Temple was active and Zeir Anpin and the Shechina were in unification. We learn from the above that the time of the unification is very important when we want to draw high souls to the world. The most elevated time for a husband and wife to come together and bring a child to the world is Friday after midnight. This is when the Light of Binah begins to shine on the day of Shabbat. Another lesson that we can take from this study is that to have blessings in our vessels, which is everything we desire, we need to bring the light in. That includes work, personal desires and marriage. Saturday night immediately after Shabbat, we do Havdalah then we recite Patach Eliyahu, ‘Elijah Opened’. It helps to continue the Light of Shabbat to the rest of the week. A fourth meal with Birkat Hamazon followed by planning the activity of the coming week would benefit from this connection.